Region Details as follows (DVD region shown in title). REGION 3 -S.Korea, Taiwan, Hong Kong, Parts of South East Asia. REGION 1 -USA, Canada. Zoom > Gotti DVD Region 4 NEW. Product: Gotti [DVD]. Region: Region 4. Format: DVD. What do I do?. Apologies, our mistake! Yes you can. Colour: Colour. Would-be ghosts. UFO voyagers. A chicken that pecks out 'Moonlight Sonata' on the piano - blindfolded! And they're the kind of stones that make the tabloid's reporters think they've heard and seen it all. Cast: John Travolta, Robert Duvall, Forest Whitaker, Kyra Sedgwick and Jeffrey DeMunn. Region Information. Quick links. Special Features. » You have been sent the wrong item. Hello and welcome to my online store Today on offer Phenomenon - DVD Brand new & Sealed please enlarge photos for a closer look Please See My Other Items For more DVD's. John Travolta is a writer for ROLLING STONE who is investigating the new trend of health clubs being used by singles to pick up. Adam Lawrence is a reporter for Rolling Stone Magazine, writing an expose on the fitness boom of the mid 80's and the popular obsession with physical perfection that created it. In the late 1940s, notorious serial killers Raymond Fernandez [Jared Leto] and Martha Beck [Salma Hayek] left a bloody trail across the United States. Their lethal scam was simple: lure, swindle, and then viciously murder lonely spinsters and lovelorn war widows. 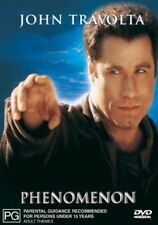 CAST : JOHN TRAVOLTA. 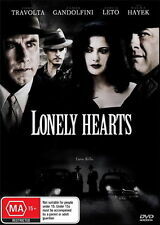 DIRECTOR : JOHN BADHAM. WILL NOT PLAY IN YOUR MACHINE UNLESS IS MULTIZONE. FORMAT : WIDESCREEN. Trending at AU $10.77eBay determines this price through a machine-learned model of the product's sale prices within the last 90 days. Unless otherwise stated - All Discs are Region 4 and require a Region 4 or Region Free capable DVD player. This Item is a Region 4 DVD. REFER TO REGION 4 LIST HERE. DLC (Downloadable Content) can occasionally be region specific, or can also be general. What region are your DVDs and Blurays?. Other (414). This is possible! GREASE –DVD. REGION: 4, WIDESCREEN. ORIGINAL ITEM. DVD Region Code. Ray must forge a painting by Claude Monet, steal the original from a museum and replace it with a replica so perfect that no one will notice. The Forger. John Travolta (Raymond J. Cutter). DVD Region 4 Australia, New Zealand PAL. 2 DISC DVD BOX SET. COLLECTOR'S EDITION. REGION 4 - PAL. The DVD listed is the actual item in the photographs, so that you may see exactly what you will receive. Daily dispatch except weekends. Local pick-up is okay for Adelaide residents (Happy Valley). COLOR = 120 mins =. 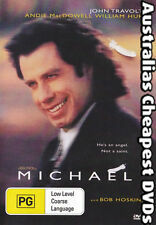 Up for grabs, Two Of A Kind (John Travolta,Olivia Newton John) (Aust Region 4) DVD – Like New. DVD Like New. John Travolta (Vincent Vega). Uma Thurman (Mia Wallace). Pulp Fiction. DVD Region 4 Australia, New Zealand PAL. Interviews From The Independent Spirit Awards. Release Date: 2004. Unless otherwise specified DVD and Blu-ray discs sold are designed for use in Australian and New Zealand systems. 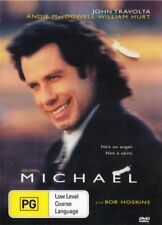 Up for grabs, Staying Alive (John Travolta) (Australia Region 4) DVD – New. It works on Australian DVD players. We always resolve issues swiftly & fairly. You are also entitled to have the goods repaired or replaced if the goods fail to be of acceptable quality and the failure does not amount to a major failure. 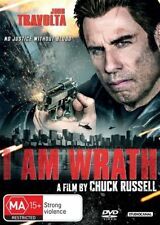 Unemployed engineer Stanley Hill (John Travolta ) witnesses the brutal murder of his wife Vivian (Rebecca De Mornay) who was attacked by thugs in a parking garage. It is only then that Stanley and Dennis are found to have a mysterious past that, until now, they kept very well hidden. UNCUT & EXTENDED VERSION. 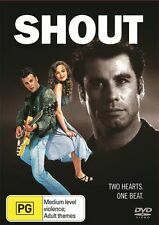 (2012 DVD MOVIE). The DVD for this item is in EXCELLENT condition near NEW. Light marks on DVD due to general handling and usage. Chon brought seeds from Afghanistan and Ben used his knowledge to develop the best marijuana in the country. CONDITION: LIKE NEW. REGION-4, WIDESCREEN. DVD Region Code We will response you as quick as possible. Travolta is Jack Cabe, a musician on the run in Texas for murdering a man during a recording session. Attempting to elude the law, Jack takes refuge at the Benedict School for Boys, where he is hired as a music instructor by school director Eugene Benedict (Richard Jordan). I am an avid CD & DVD collector since 1995 as I love the look and feel of the hard copies of the artworks, musicians’ notes, the physical discs and jewel cases. I am rarely listen/watch many of them because I fear to cause scratches or leave finger mark/dirt on them. His life takes a tumultuous turn as he faces tragedy, multiple trials and a prison sentence. Title: Gotti. 30th October 2018 & 07th November 2018. October 2018. Release Date: 31 Oct 2018. Region Code: 4. John Travolta ignites the screen as he recreates his legendary, Oscar-nominated character. Directed and co-written by another film superstar, Sylvester Stallone, Staying Alive features John Travolta in one of his most powerful and unforgettable performances. This way we know the item has been received and you're happy with the service. TV System: PAL. Delays do occur. Region Information. IF YOU ARE BUYING MORE THAN ONE ITEM. When you receive your.